Dedication is a trait that Bridget Van Gessel is familiar with. Not only is she a star horse show jumper, but she hasn’t let her potentially disabling chronic diseases (juvenile rheumatoid arthritis (JRA) and fibromyalgia) prevent her from staying in the saddle even when times were tough. At just nineteen years old, the New Zealand native is stepping out of her comfort zone to inspire other JRA and fibromyalgia patients to live their lives to the fullest, just as Bridget is committed to doing. Although Bridget had a normal, healthy childhood, her teenage years were robbed from her when she was diagnosed with juvenile rheumatoid arthritis and fibromyalgia at age fourteen. However, Bridget was no stranger to arthritis as her mother also suffered from rheumatoid arthritis, the adult form of the disease. Her mother’s journey with RA allowed for a strong support system between the two women. Over the past five years Bridget has tried a variety of medications that either didn’t work or made her sick and has finally settled on a combination of four medications that work moderately well to control her pain. Bridget’s greatest motivation for spreading arthritis awareness originates from her inability to feel understood, accepted, and supported by her peers. Even though she finally has her disease under control, life hasn’t been easy, and her high school years were plagued by loneliness and isolation. Still, she feels fortunate to have the support of her family and boyfriend and credits them with helping her stay positive even during her hardest times. Fueled by the frustration of growing up without having support from her peers, Bridget created a page on Facebook entitled, The Invisible Illness – Bridget Van Gessel, a platform where she shares motivation, advice, and information about living with JRA and fibromyalgia. She also manages another arthritis support page for a New Zealand-based arthritis organization and has attended various youth development conferences to help grow as an advocate. Click here to support the dedicated scientists at the Arthritis National Research Foundation developing new treatments for arthritis! 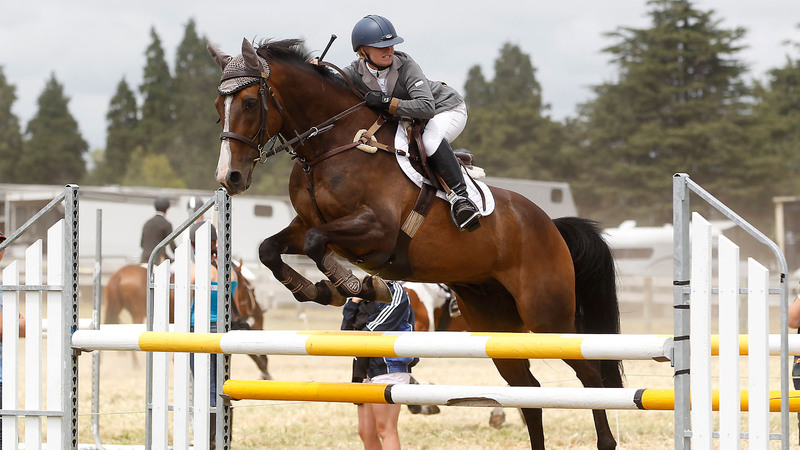 Throughout the ups and downs of her chronic diseases, Bridget has managed to stay positive and continue pursuing the sport she adores – horse show jumping – a pastime that has provided her the support, friends and camaraderie she always envisioned having. Bridget models her life around her favorite quote, “I want to live, not just survive.” Between battling her now adult rheumatoid arthritis and fibromyalgia, attending college, competing as a show jumper, and sharing her infectious charisma with everyone she meets, it’s evident that Bridget is living her life to the fullest. What’s your favorite hobby that you haven’t let arthritis prevent you from pursuing? Tell us what you love to do in the comments below!